This plugin generates a brief summary of your blog for year 2010. 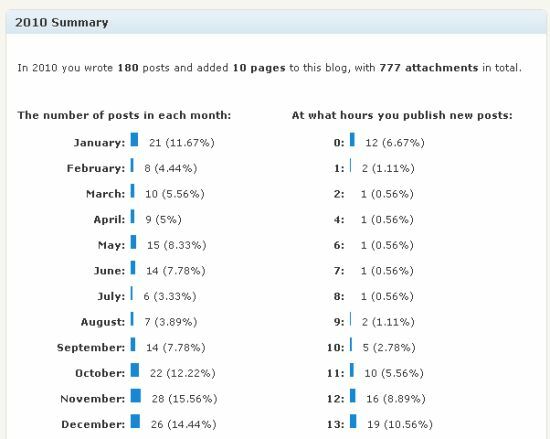 See how many posts you wrote durig the ending year, which were the most popular, who was the most active commenter etc. And then share the stats with your readers – copy the data to a new draft with a single click. Simply download the package, unzip and upload the 2010summary.php file to ‚/wp-content/plugins’. Activate and you’re ready to go!